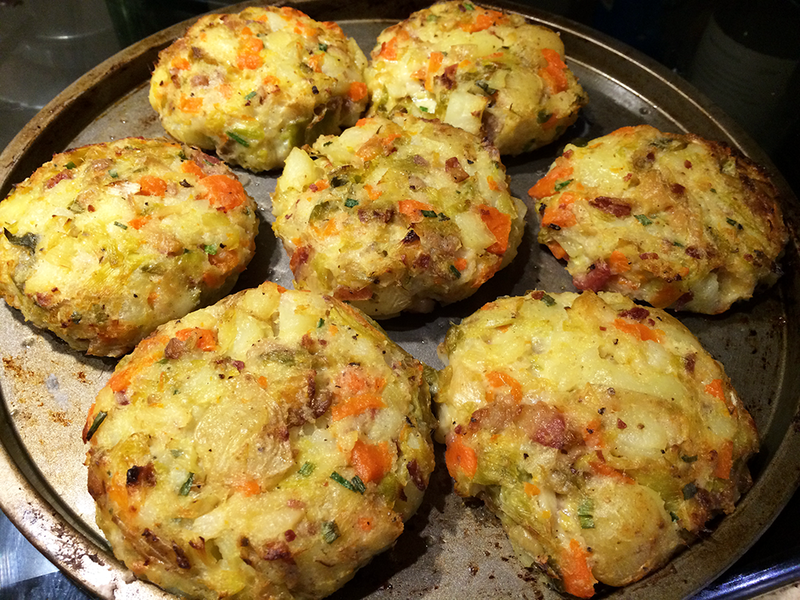 Christmas wouldn't be the same without making bubble and squeak out of the leftovers. There isn't really a specific recipe as it depends what leftover veg you might have but rather than just fry it all in a pan give my oven baked cakes a go instead. 1. Chop up all your leftover veg and slightly mash the potatoes If you haven't got many leftover spuds then boil some new ones to make the mash, allow to cool before continuing. 2. Combine all the veg and mashed spuds in a bowl and mix through the cheese sauce or grated cheese. 3. Simply form the cakes in your hands and place on a greased baking tray. Brush them with a little oil and bake on gas6 until golden.